We’ve been in our house for 18 months now and if we are pretty much there in term of furniture, we still have loads of empty walls waiting to be filled. I want to keep some of them empty, but some are simply waiting for the right content. In my previous flat, I used to have a chicken wire wall to hang pictures, post-cards and souvenirs (a bit like the one they made here) and while I might place one again in the house, I am not sure quite where yet and I don’t want to start making holes in my walls if I am not sure of what I want. So until I know what I want, I decided this weekend to start putting pictures on a wall. But rather than simply blu-tacking them, I decided to frame them with washi tape. 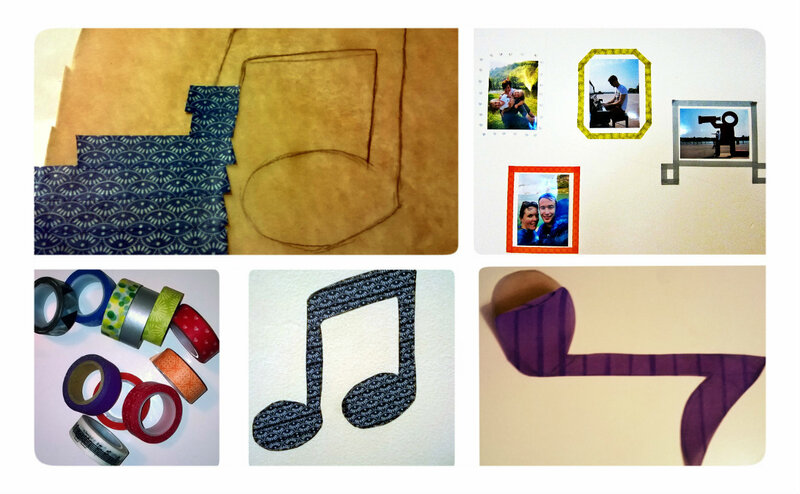 I saw this idea on pretty much every single diy/handicraft blog that I follow and it’s a pretty awesome idea, and it just requires blu-tack, photos and washi tape. 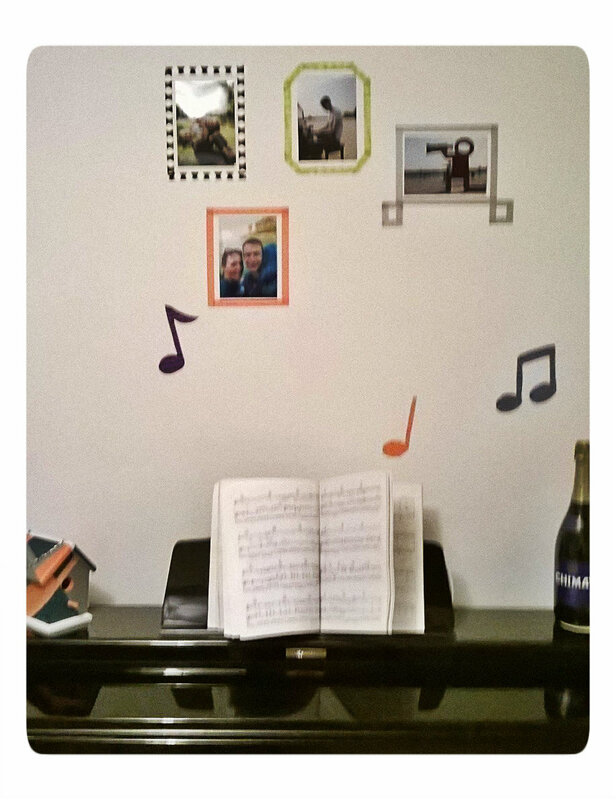 And since the wall I picked for this is the one just above the piano, I made as well a few music notes out of the tape. There are only 4 pictures so far on our wall but we’ll add more in the future.